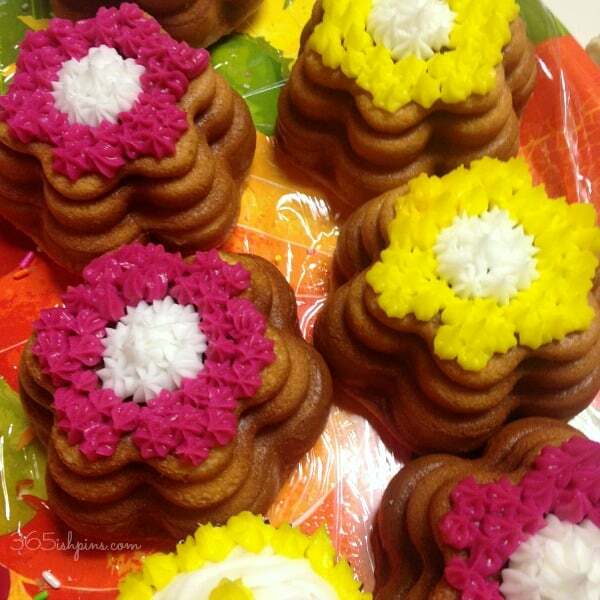 I made 9″ round cakes and little flower cakelettes for everyone at the party using the Cake Boss cake mix. It was so moist! Everyone commented on how delicious the cake and frosting were. Nothing was overly sweet and the cakes stayed moist for several days after the party. We each grabbed a cake and got started! The boxes of fondant were enough to cover a two-layered 9″ cake with extra. None of us had ever worked with fondant before, but it’s so easy to use and makes a cake look finished! Just take it out of the box, knead it for a bit and then roll it out! Use cornstarch to lightly dust the counter so it doesn’t stick. After a few minutes, it became obvious that rolling on tile wasn’t going to work, so I pulled out plastic cutting boards for everyone so the surface was flat. 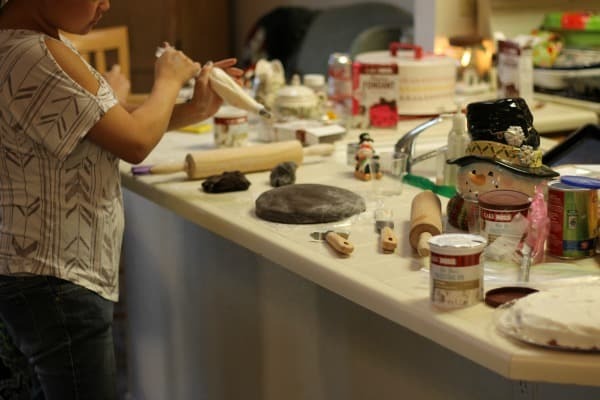 Tip #2: Have everyone bring their own rolling pin. Having the right tools really does make a difference when you are working in the kitchen! The spoonula and spreader in the top picture there were in everyone’s swag bag when they went home and they were so excited to have their own. 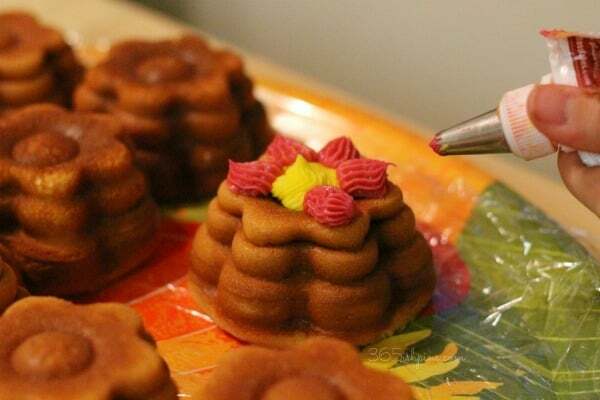 They make frosting the cake much easier! Next, you see my favorite party fuel, Diet Coke. 🙂 That box with the swirly looking white things is a really cool fondant cutter. You can set it to cut ribbons in a strip of fondant. 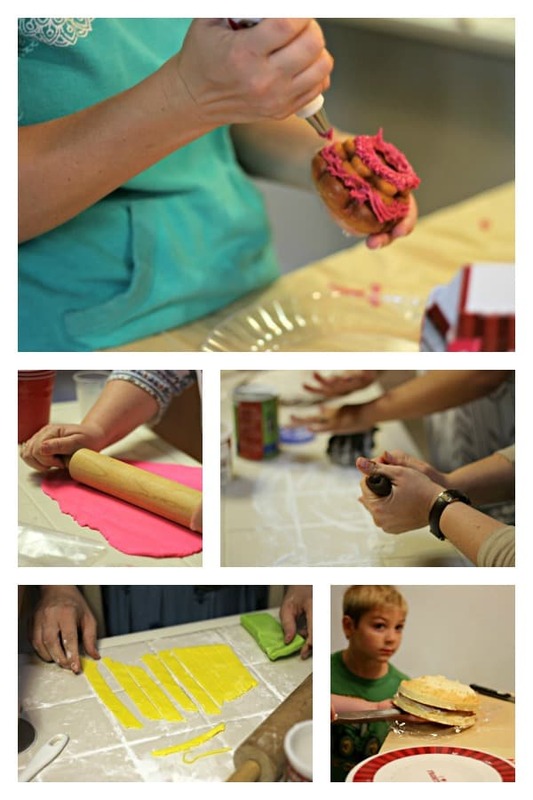 It’s a huge time saver and gives you nice even stripes of fondant. 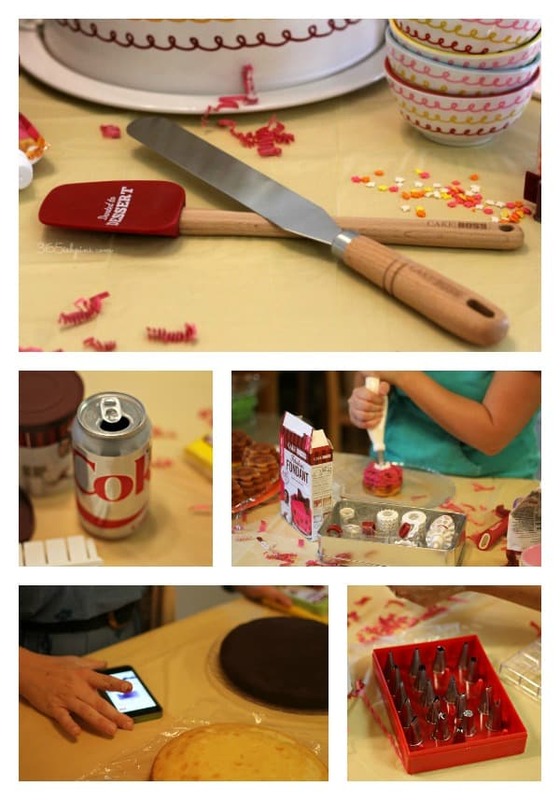 On the bottom, you see Jamie using a very important tool, Pinterest, to get some inspiration for her cake. 🙂 The last photo shows my favorite tool: a great collection of piping tips! 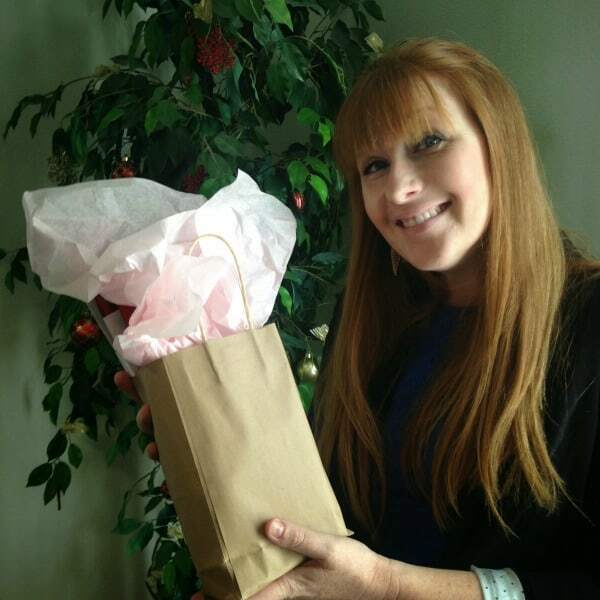 Tip #3: Have extra “couplers” for the tips so more than one person can use a piping bag or icing pouch at a time. Didn’t the cakes turn out so well? OK, for total newbies they turned out well. 🙂 Carrie definitely wins with that adorable watermelon cake! The colors we had were just perfect for a slice of watermelon. Tip #4: Cover your work surface with a plastic tablecloth. It makes cleanup WAY easier. Trust me. As you can see, everyone dove right in and got their hands (and my house) dirty. 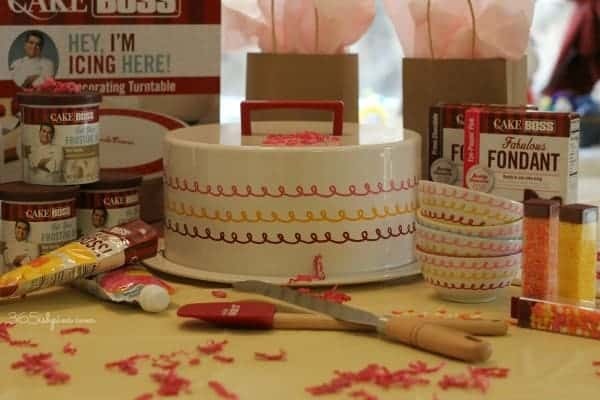 🙂 We all had a great time playing with all the different Cake Boss products. 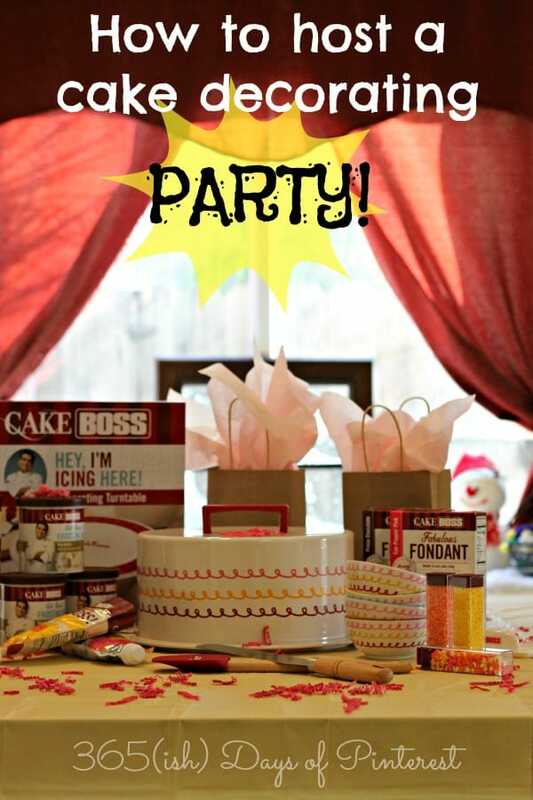 I think my guests were the happiest about their swag bags full of frosting, sprinkles and the tools! 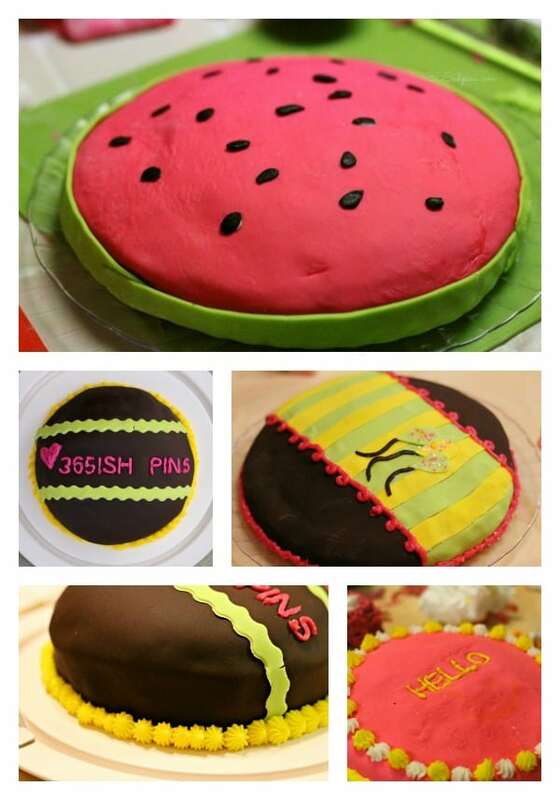 Your cakes look so professional. Better than mine! What a fun idea! 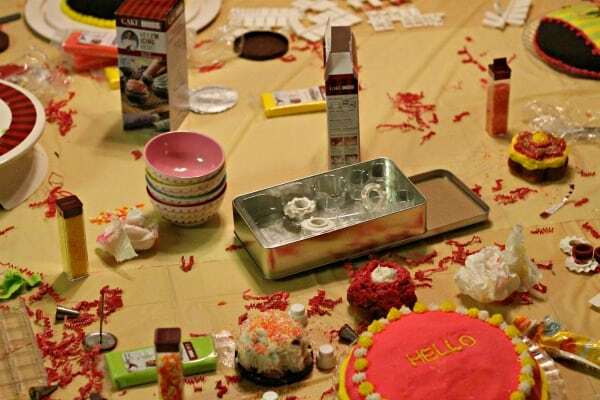 I’ve never thought to host a cake decorating party before. Bet my teenage daughter would love to do this with her friends! I’m not so great at cake decorating. I should take a class or something. 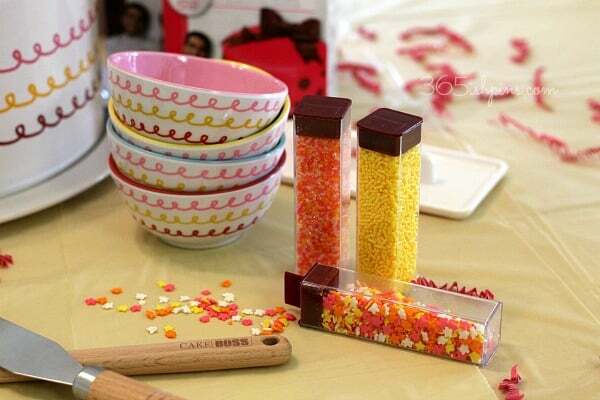 A cake decorating party would be way too much fun! So impressed my cake got in a picture!